Online Holidays is a renowned tourist Car Rental Agency in Srinagar Kashmir . 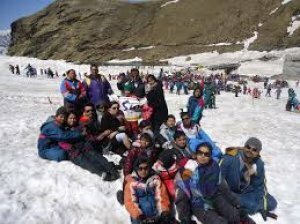 Our budget Srinagar tour packages start at Rs. 3333/. 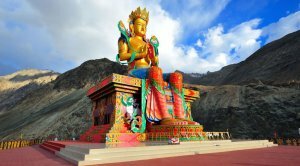 The options of our Srinagar Tour from Jammu or Srinagar suits all budgets and travel plans that tourists are looking for. We have been reviewed as best Srinagar tourism service provider by our esteemed guests on Google for providing services of par-excellence (ChecK Google reviews). 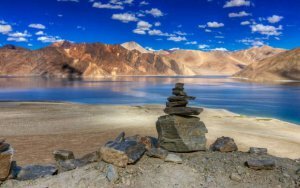 Online holidays provides complete travel information on Srinagar Holiday Packages , Customized Travel and tour services by Online Holidays Srinagar include complete package tour services of Kashmir, Jammu, Ladkah and Himachal, Exclusive travel options from Jammu To Srinagar To Ladakh, Bike tour From Chandigarh, Delhi To Ladakh Via Himachal or Srinagar. 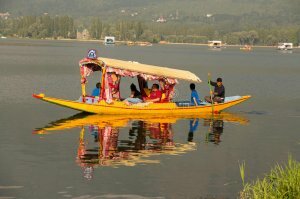 Houseboat booking In Srinagar Dal lake and Nagin Lake, Hotel Bookings, Shikara Rides and much more. Popularly known as ‘Paradise on Earth’ and 'Venice of the East’, Srinagar is situated in the beautiful valley of Kashmir. Located on the banks of the River Jhelum, the city is renowned for its beautiful lakes, houseboats and numerous Mughal gardens. The word Srinagar is a combination of two Sanskrit words, ‘Sri’ meaning wealth and ‘Nagar’ meaning place. 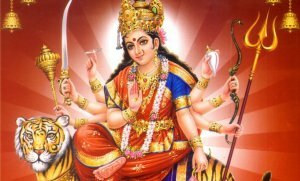 Therefore, the literal meaning of the term 'Srinagar' is 'the city of wealth'. The Dachigam Wildlife Sanctuary is another popular tourist attraction in Srinagar. Covering an extensive area of about 141 sq. km, the sanctuary was declared as a National Park in 1951. It is home to the endangered species of red deer known as the Hangul. Tourists can also sight leopards, the black and brown bear, musk deer, and numerous migratory birds here. 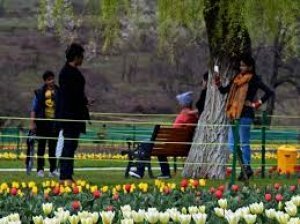 The Indira Gandhi Tulip Garden is also one of the major tourism attractions of Srinagar situated on the banks of the beautiful Dal Lake. The garden covers an area of 90 acres and contains around 70 varieties of tulip. A yearly 'Tulip Festival' is organized here in the month of April, which is quite popular among travelers. The festival not only attracts national tourists but trourists from all across the globe who wish to be a part of this famous event. Tourists also get an opportunity to enjoy the local cuisine and folk dance here. Visitors can purchase handicrafts and textiles at very cheap prices that are uniquely native to the state and globally known such as Kashmiri carpets, Pashmina shawls, stoles, and wooden crafts. The city, apart from being beautiful holds great historical, religious and archaeological importance. Several historical buildings and ancient religious sites present here are the physical proof of the rich and glorious past of the city. Burzahom is an important historical site that was a Neolithic settlement occupied between 3000 and 1500 BC. The artifacts, which were gathered from the excavation, are kept in the Sri Pratap Singh (SPS) Museum at Srinagar. The museum contains animal skeletons, arrowheads, tools, and pots belonging to the Neolithic-Megalithic and Neolithic eras. 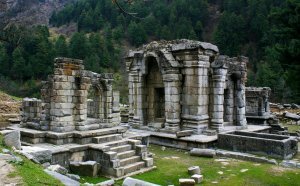 Some of the mosques and temples that are found in the region are around 1000 years old. 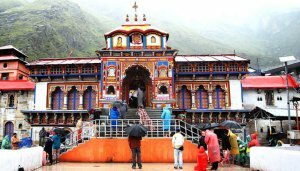 The Shankaracharya Temple and Jyeshtheswara Temple are two of the popular temples situated in the city. The Jamia Masjid, Hazratbal Mosque, and Masjid of Akhund Mullah are some of the well-known mosques and major tourist attractions of the region. The city is known for adventurous activities such as trekking and hiking. 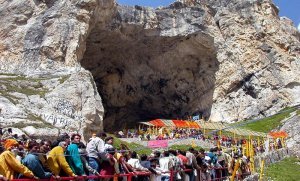 The trekking route that begins at Srinagar and leads to the caves of Amarnath is quite popular among Pilgrim Yatris. 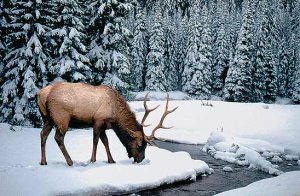 The Dachigam National Park and Pahalgam are the destinations where travelers can go on for an excursion. Rice is a major part of most meals served in here and the dishes of Srinagar are normally quite spicy vegetarian food is cheap but non-veg has more variety and is costlier. The city is also popular for the production of saffron which is a popular and costly spice. Saffron is also considered to be a royal spice and travelers can purchase it fresh from the farmers. Srinagar is well connected to major Indian cities and countries by flights. The Srinagar airport, also known as Sheikh-ul-Alam Airport is directly connected to important Indian cities like Mumbai, Delhi, Shimla and Chandigarh. The Indira Gandhi International Airport at Delhi connects international travelers with Srinagar. The rail head closest to Srinagar is at Jammu, which is about 290 km away. The city is well connected with important nearby places like Jammu, Chandigarh, Delhi, and Leh via buses are the cheapest menas of tranport in Srinagar. The climate of the destination remains pleasant all through the year with summer and winter as the main seasons. Srinagar experiences very less rainfall. The weather during the summer season is quite comfortable and enjoyable whereas, the winters are freezing with heavy snowfall. 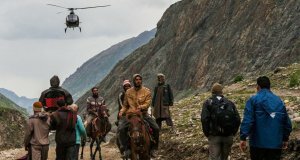 Residents and natives of the region are selected based upon their level of experience, personal integrity and genuine sense of hospitality our Srinagr tour guides have tons of experience on hand about the history, culture and the places in and around Srinagar. 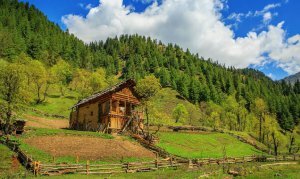 Online Holidays Srinagar Tour Operators, accommodation selections are very comfortable and range from cheap guest houses, 3 star hotels to exclusive 5 star elegant retreats which have been chosen for their charm and native warmth. For those who prefer a truly local experience home stays are a great choice. In rural areas and on adventure trips, camping comfortably under the stars is another captivating option. Because we are based in Kashmir we can operate directly without any intermediaries. This way we are able to be right by your side while you travel and we are able to keep our costs cheap and lower which benefits you. 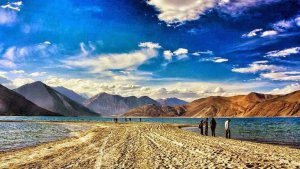 That is why we bring you ,best cheapest cost effective Srinagar Holiday Tour packages from Delhi, Mumbai, Hayderabad and parts of India as well as Malayasia and Banglabesh, Tahiland and other countires. You’ll explore all the important attractions and go beyond them to dine at home with native families, visit local markets, enjoy regional cooking and craft centers, attend exclusive folkloric festivities, and more. We also never underestimate the importance of having fun!. We develop our trips to help people become more culturally and environmentally aware. It is his approach that instills a sense of appreciation about the environment they will experience and the people they will encounter. One of the most valuable and long lasting experiences of traveling is the cultural encounter that you can experience. We encourage communicating with different people, living alongside small communities, tasting new food and encountering new ways of life. Our clients’ safety is our main goal; we follow strict working procedures and rules. Online Holidays staff and mountain guides lead our groups. They are well trained certified professionals. Design a holiday as individual as you are! Have a go yourself or just let us know your available time, your must-sees, preferences and special interests. We will suggest an itinerary and from then on it is a matter of fine-tuning so that you get exactly what you want that will suit your budget. For each region we provide suggested itineraries to stimulate your imagination and provide a sample of what is possible. They are not fixed and we expect you to alter or tweak them – add extra days, link with other regions or enjoy a sunset at a lake at the end. Everything is possible –almost!